Time-geography is a mode of thinking that helps in the understanding of change in society, the wider context and ecological consequences of human actions. This book presents its assumptions, concepts and methods, and example applications. The intellectual path of the Swedish geographer Torsten Hägerstrand is a key foundation for this book. His research contributions are shown in the context of the urbanization of Sweden, involvement in the emerging planning sector and empirical studies on Swedish emigration. Migration and innovation diffusion studies paved the way for prioritizing time and space dimensions and recognizing time and space as unity. From these insights time-geography grew. This book includes the ontological grounds and concepts as well as the specific notation system of time-geography – a visual language for interdisciplinary research and communication. Applications are divided into themes: urban and regional planning; transportation and communication; organization of production and work; everyday life, wellbeing and household division of labor; and ecological sustainability – time-geographic studies on resource use. 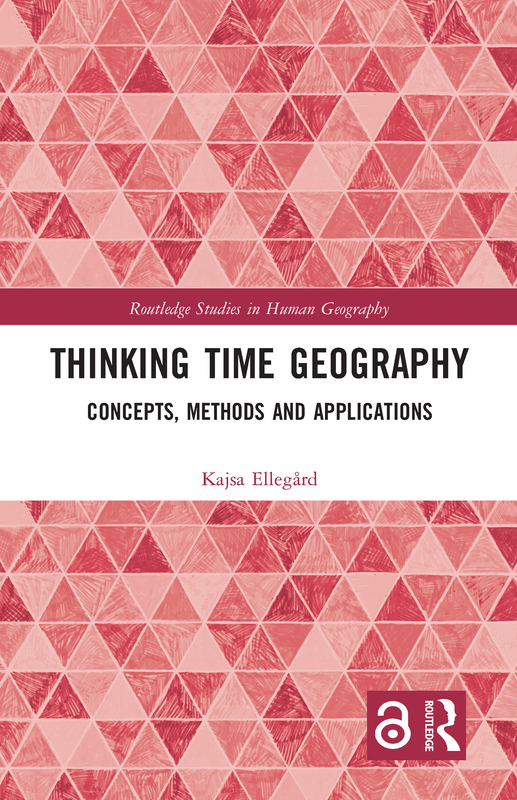 This book looks at the outlook for this developing branch of research and the future application of time-geography to societal and academic contexts. Its interdisciplinary nature will be appealing to postgraduates and researchers who are interested in human geography, urban and regional planning and sociology.